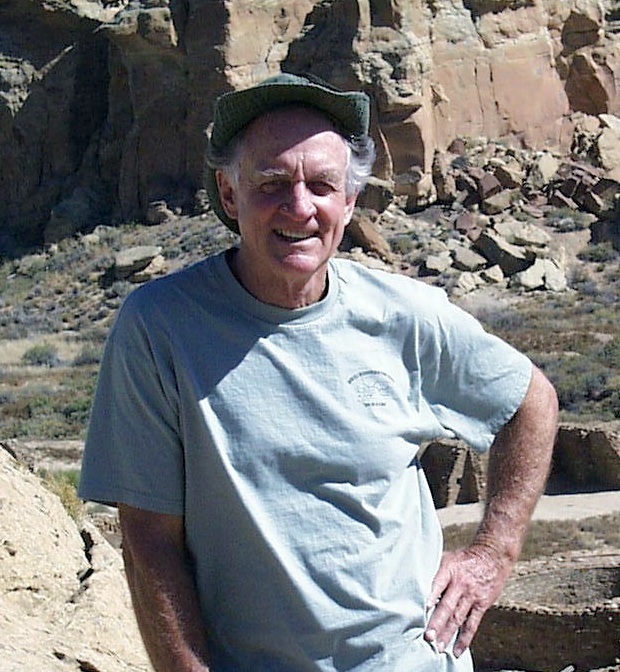 Dr. Jim Judge at Chaco Canyon. 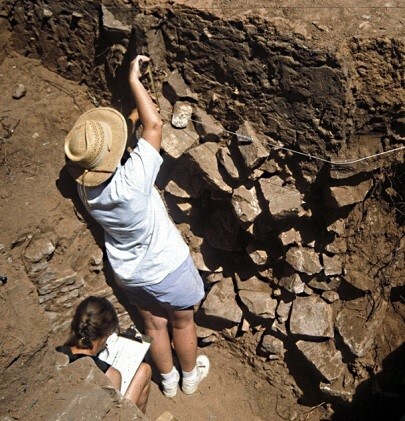 In some 30 years as a practicing archaeologist, I directed or participated in the excavation of a wide variety of sites, spanning in time from 10,000 BC to AD 1835, and in type from PaleoIndian to Archaic to Ancestral Pueblo to Historic. As such I became aware that archaeological sites can be quite deceiving as seen from the surface prior to excavation. In archaeology, what you see from the surface is not necessarily what you get. And what you get may be surprisingly relevant to issues we face today. Figure 1: Puzzle House before Excavation. Photo Courtesy Jim Judge. 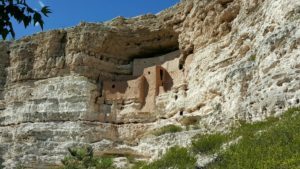 Such was the case with a small, seemingly unremarkable site located in the vicinity of Lowry Pueblo, an area of bean and alfalfa fields some 35 miles northwest of Mesa Verde. From the surface, the site consisted simply of a low, small mound near the edge of a farmer’s field. Native vegetation covered the mound. 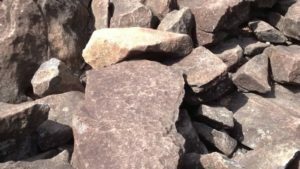 A few rocks were scattered on top (Figure 1). When I came to the site in 1992 as Director of the Fort Lewis College archaeological field school, I felt that based on surface evidence we could easily complete the project in one field season. We began by staking out a grid system covering most of the mound. We then excavated in 10 cm layers, screened all materials through ¼” mesh, and measured and recorded everything (Figure 2). 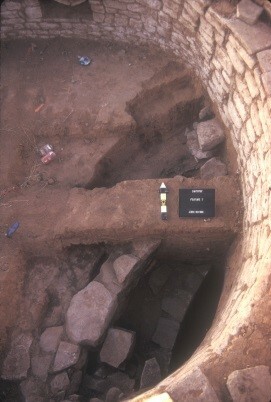 Figure 2 Puzzle House during excavation. Photo Courtesy Jim Judge. Little did we know what lay ahead. What we found that first season under that unembellished surface was a large, deep, well-preserved subterranean kiva, bordered on its north side by a series of five surface rooms, all of carefully shaped rock masonry. Not only did it take the full 6 weeks to uncover, it required a second field season to complete the excavation (Figure 3). We were amazed at the complexity of the structures, given that the site had revealed almost nothing on the surface. We were inspired to name it Puzzle House. To finish up our second season we dug some test pits outside the structure to make sure there was nothing else left there. As luck would have it, again we were very wrong. A deep test pit east of the kiva revealed an abundance of cultural material—ceramics, lithics, bone—and no sterile soil. We left knowing we would have yet another field season there. 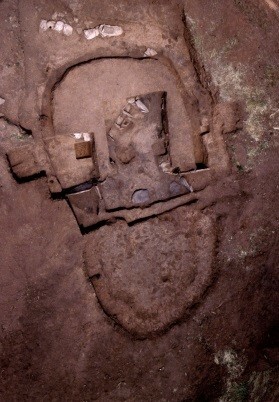 Figure 3 Puzzle House after Excavation. Photo Courtesy Jim Judge. So beginning the third season with a fresh crew we started down, outside the east edge of the site—down and down and down we went. Finally, well below the floor level of the first kiva, we found a wall—this one of stones more carefully shaped than those above—a wall of yet another kiva, and then in the floor of this deep kiva, a firepit. We were now about 9 feet below the surface (Figure 4). Figure 4: The Deep Kiva. Photo Courtesy Jim Judge. 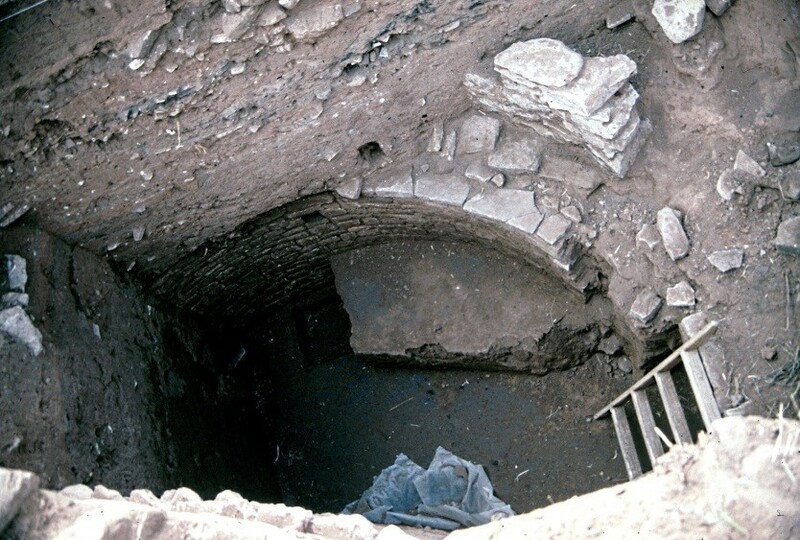 So the upper kiva—the one we first found—had been offset and built over a portion of a deeper one (Figure 5). Naming the site Puzzle House began to make sense. Fig 5 Upper Kiva over the Deep Kiva. Photo Courtesy Jim Judge. But before leaving that third summer we dug yet another outside test pit to ensure there was nothing left. Once again, we were proved wrong, very wrong. Cultural material continued and we had to schedule another field session. Then, during that final summer, we encountered something totally unexpected—an early pit structure to the east of the deep kiva. Although archaeologists had always guessed the Lowry Community was occupied during Basketmaker times (AD 500-700), this pit structure was the first real evidence of an occupation that early. 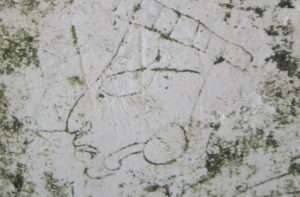 We later dated it to AD 640 (Figure 6). Thus ended our digging at Puzzle House. Figure 6: BasketMaker III Pithouse. Photo Courtesy Jim Judge. 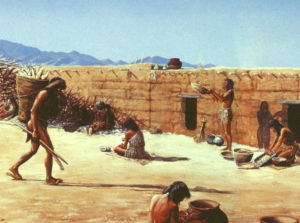 In analyzing the recovered materials back in the lab at Fort Lewis College, we determined the chronology of the site as follows: After the construction of the pithouse in the AD 600’s, the location was unoccupied until the mid-1000’s when the Deep Kiva and its associated surface rooms were built. That residential complex was only briefly occupied, however, and was abandoned by AD 1080. Then, in the mid-1100’s another kiva-room complex (the Upper Kiva) was built, partially overlying the earlier deep structure. This residential unit in turn underwent significant remodeling by the early 1200’s, turning it into a seasonal fieldhouse rather than a permanent residence. It was abandoned for good in the mid-1200’s. Remarkably, the hard and persistent work of the field school students had uncovered more than 600 years of occupation of a site that had revealed almost nothing from the surface (Figure 7). Figure 7: Puzzle House after excavation. Photo Courtesy of Jim Judge. 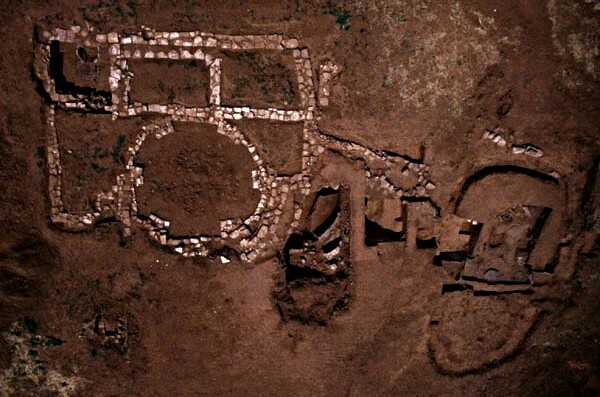 Kudos to the farmers of Southwest Colorado and to the Archaeological Conservancy for protecting sites such as Puzzle House, even though on the surface there may be little to suggest the complexity lying beneath. The land of the Puzzle House Archaeological District had been the site of The Pigg Family homestead in 1916. 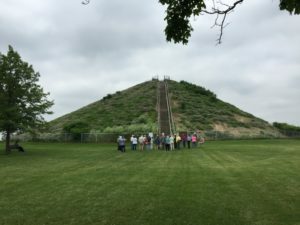 Recognizing the significance of the archaeological sites on the property, they protected them from vandalism, cultivating the areas around the District’s main sites and leaving those sites largely undisturbed. 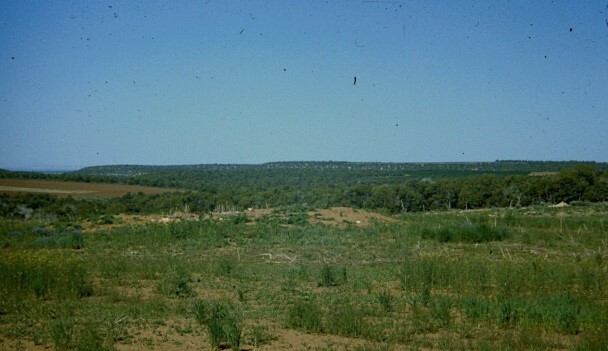 Subsequent landowners Judy and LaRoy Crow, relations of the Pigg Family, similarly respected the significance of the property’s archaeological sites and have protected them from vandalism and cultivation. This archaeological preserve was acquired in 2010. 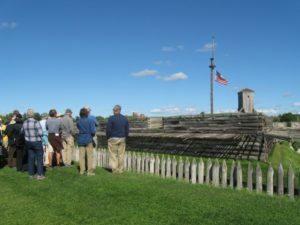 The owners sold the property to the Conservancy in a bargain-sale-to-charity and funding for the project was provided, in part, by the Colorado Historical Fund. My own association with the Archaeological Conservancy began in the early 1980’s. At the time, I was working for the Park Service directing a long-term archaeological research project in Chaco Canyon (The Chaco Project). I was based in Albuquerque and held a faculty appointment with the Anthropology department at UNM as well. By 1980, I had put in about 13 years of field research in New Mexico and Colorado and was very aware of the need to preserve and protect archaeological sites, regardless of the time periods they represented. I was thus drawn to the philosophy of the Conservancy when it started, and along with colleagues from the UNM Anthropology Department (Steve LeBlanc, Frank Broilo, Dave Stuart, and Dennis Stanford, to name a few), became a strong supporter of Mark’s early efforts in developing The Archaeological Conservancy. All of this archaeological investigation and excavation is obviously interesting but is there relevance to us today? Reconstructing Puzzle House showed us what happened to people who were totally integrated with the natural world of the time. Unlike today, there was no technological interface distancing them from their environment. The significant changes in climate they faced meant they repeatedly had to change their lifestyle to adapt. Fortunately for archaeologists, changes in past climates have been recorded in detail by the Laboratory of Tree-Ring Research at the University of Arizona in Tucson. We know that extended periods of below average precipitation occurred between AD 1080-1100, 1130-1180, and 1275-1300. The habitation sequences at Puzzle House show us the relationship between its consecutive residents and the major climatic events that took place then. 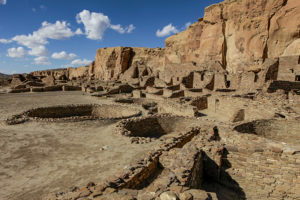 Not too long after the Deep Kiva complex was built in the mid-1000’s, the climate turned very bad and the site was abandoned—a truly major change of lifestyle for the inhabitants. 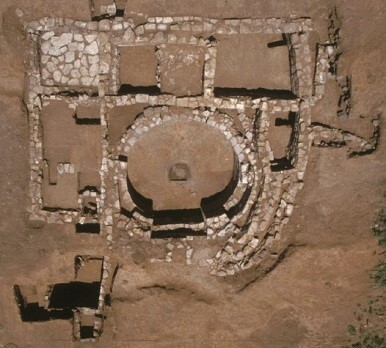 But when good times returned from AD 1100-1130, the upper kiva and room complex were constructed and the site inhabited as a residence—an important component of the Lowry community. Then came another drought, 50 years long, from 1130 to 1180. This was a time of major changes in the entire Lowry area as well as what is now southwest Colorado. Puzzle House, if not abandoned, was at best only minimally occupied. Then in the early 1200’s when the good times returned, the Lowry Community reorganized and scattered sites like Puzzle House became seasonal storing structures reflecting consolidation of dispersed families into a large, aggregated residential complex on the periphery of the farming area. 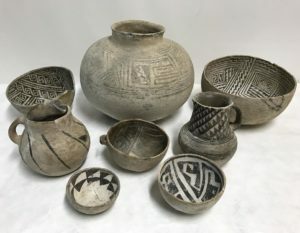 This interdependence in the Lowry community and elsewhere in the Mesa Verde region developed so powerfully both socially and ritually that when the next major drought came (1275-1300), all of the 4-Corners inhabitants moved away to the Rio Grande Valley and elsewhere. They were likely too socially integrated for any individual group to stay to fight a deteriorating environment. For a people who had undergone a multitude of adaptations in trying to cope with climate change, this was the ultimate solution—emigration. So what of us today? An abundance of technologies now separate us from our environment. It has been easy to miss or ignore signs that in the past would have been heeded. As a result most of us are somewhat clueless about what is happening out there in the natural world. As such, we should take a lesson from the trials and tribulations endured in the past and realize that regardless of the current state of our technology, adapting to climate change in the future will require significant changes in our way of life, just as it did for the occupants of Puzzle House. Our challenge is to recognize the need for change and act accordingly. A carefully planned future, focusing on developing resiliency and self-sufficiency, could minimize the severity of the adaptations we must make to survive. Archaeology provides us an illuminated window into the lives of those who went before. It would be a mistake to ignore lessons from the past. Dr. Jim Judge is a professor emeritus of anthropology at Fort Lewis College in Durango, Colorado. He is the former director of the Chaco Center of the National Park Service and a leading expert on the prehistoric cultures of the Southwest. Dr. Judge holds a Ph.D. from the University of New Mexico and is the author of numerous publications on the Chaco culture. 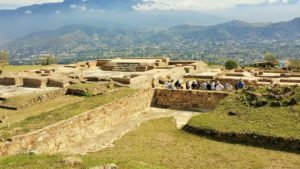 Learn more: Investigating the Puzzle House Pueblo by Project Archaeology for Teachers and Students and online Archaeological and Historical Context of the Puzzle House Pueblo. Explore Four Corners Archaeology at the The Anasazi Heritage Center. The museum is of the Ancestral Puebloan (or Anasazi) Culture and other Native cultures in the Four Corners region. It is also the starting point for visits to Canyons of the Ancients National Monument. Visit Canyons of the Ancients National Monument. Plan a Visit to Mesa Verde National Park, Colorado. Good to see all of this, Jim. I don’t think I ever replied to your letter of many years ago. I’m in the process of moving with my daughter, her husband, and two granddaughters to La Veta, Colorado. I’m currently in Northglenn, CO, in a townhouse, and am looking for more serenity in life. Still doing book editing and design, but the kids will be taking it over one of these days. I hope you and your family are all doing well! Good to see a picture of you and read this article. I like where you compared what happened at (“the pig site”) now The Puzzle House and encourage people to learn from the past. I sincerely hope the public will listen to voices like yours with so many years of experience and realize what happened there can happen and will happen again. I’m going to share the article with people I know. Hope you are well and still doing what you love.